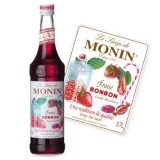 Monin Strawberry (Fraise in French) syrup in a stylish 70cl glass bottle. The strawberry is the first fruit of spring. Everyone looks forward to these sweet and delicious berries. Strawberries are one of the most common fruits in the home garden for both their ease of growth and popularity at the table. 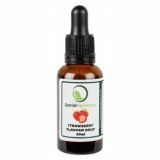 Delicious strawberries are eaten fresh or used in making juice, desserts, jams, wines and syrups. 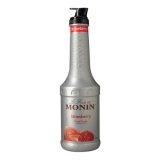 Enjoy the fresh delicious taste of Monin Strawberry in all your beverages! 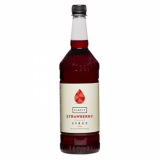 Taste: Rich flavour of fresh strawberries, subtle and creamy taste with a touch of strawberry jam. Applications: Sodas, milkshakes, fruit cocktails, lemonades, dessert drinks. 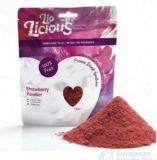 Sugar, water, concentrated strawberry and other fruit juice, flavouring, acidifying agent: citric acid, colouring agent: E122. Total fruit juice: 19% minimum including 18% strawberry. Please note - E122 may have an adverse affect on activity and attention in children. Add to beverage to taste requirements.